The financial crash some ten years ago resulted in the demise of many firms – but this Irish software company partly attributes its current global success to the recession. Beauty salon software provider Phorest completed a €20m investment round, the company’s third, with US investment firm Susquehanna Growth Equity (SGE), in June. First founded in 2004 by Ronan Perceval and Jamie Myerscough, the Dublin-headquartered developer provides management software for more than 4,500 salons in ten countries around the world. 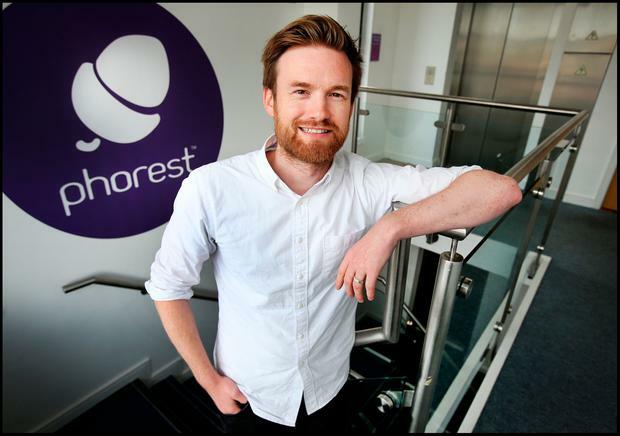 When personal trainer Jamie moved away from the day-to-day running of company to focus on his ambition to launch a gym business in 2006, Phorest was already feeling the impact of a shrinking economy. “All of our clients were in Ireland at the time. We hadn’t made any money from the business at that point, we were always living month to month,” Ronan told Independent.ie. “It pushed me to do something different and I moved to the UK to launch the product there. It’s an incredibly competitive market but things started to grow for us over the years and today we are the number one provider of software to salons in the UK. When Jamie’s son was born in 2012, he returned to Dublin as the UK business was “rocking” at that point. But despite the success of the company in the UK, finding investors in Ireland willing to pump money into a software product for salons was difficult. “We had built up a business from nothing, completely bootstrapped, that was then doing €1m in revenue – and everyone turned us down,” he said. “I think that most of them believed that you can’t built a company on the salon industry. All the investors at the time were men and maybe could not see what potential the platform had. “It wasn’t until I worked in a salon myself, in the early days of setting up the company, that I got to witness all the opportunities of what the app could do. You get to like the salon and develop a passion for the industry by being on-the-ground”. It was around this time that a number of HBAN angel investors provided €700,000 over two funding rounds to Phorest, the first in 2011 and the second in 2013. With the backing of HBAN and the Enterprise Equity Fund, the company had around €1m to focus on building out the product. “They believed in us and the funding allowed us to build a proper cloud platform and develop the app etc. But the biggest difference of all was the level of professionalism that was required of us. Suddenly we had a board and a chairman, and when we made promises at a board meeting, we knew we had to deliver it. “At first, it was really hard changing everything that we’d been used to but it was a great experience that we genuinely learned from. We had a proper structure, we were doing things on time, and if they weren’t completed on time, there had to be a reason why. Pat Garvey of Bloom Equity acted as lead angel on one of the investments and still serves as the chairman of Phorest. Meanwhile, with the latest funding round, a number of the original HBAN investors have been bought out for an amount that equals almost ten times their initial investment. However, some of those who took part in the 2011/2013 investment rounds have stayed involved as the company focuses on strengthening its foothold in a number of markets globally. With a team of around 160, Phorest currently has offices in Dublin, Philadelphia, Cologne, Helsinki and Australia.